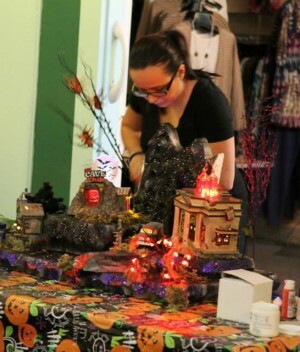 Irena Tomova, guest artist from Department 56, will demonstrate tips and tricks for creating your own Halloween Village displays at home. Wine and appetizers will be served. $5 ticket includes an exclusive coupon toward a Department 56 purchase. You may call the Christmas Department to inquire about our waiting list. We have a 48 hour cancellation policy. To receive a full refund, you must contact the Christmas Department to inform them of your cancellation at least 48 hours in advance of the program.